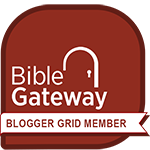 All of the Bible verses below are linked to the BibleGateway.com website (Ref. 1). All of the verses below are from New American Standard Bible unless otherwise noted. If you would like to see a verse in another translation, click on the link provided, and then select the translation you would like to see. The Greek word for cross is staurós. Staurós has both a literal meaning and a figurative meaning. Christ was crucified on a literal Roman cross. Jesus spoke figuratively about the cross each believer bears to be his true follower (Ref. 2). The topic headings below follow the outline provided in The Thompson Chain-Reference Bible (Ref. 4 below). John 19:25 - "But standing by the cross of Jesus were His mother, and His mother’s sister, Mary the wife of Clopas, and Mary Magdalene." John 19:31 - "Then the Jews, because it was the day of preparation, so that the bodies would not remain on the cross on the Sabbath (for that Sabbath was a high day), asked Pilate that their legs might be broken, and that they might be taken away." ​Philippians 2:8 - "Being found in appearance as a man, He humbled Himself by becoming obedient to the point of death, even death on a cross." Hebrews 12:1-2 - "Therefore, since we have so great a cloud of witnesses surrounding us, let us also lay aside every encumbrance and the sin which so easily entangles us, and let us run with endurance the race that is set before us, fixing our eyes on Jesus, the author and perfecter of faith, who for the joy set before Him endured the cross, despising the shame, and has sat down at the right hand of the throne of God." Preached - 1 Corinthians 1:17 - "For Christ did not send me to baptize, but to preach the gospel, not in cleverness of speech, so that the cross of Christ would not be made void." 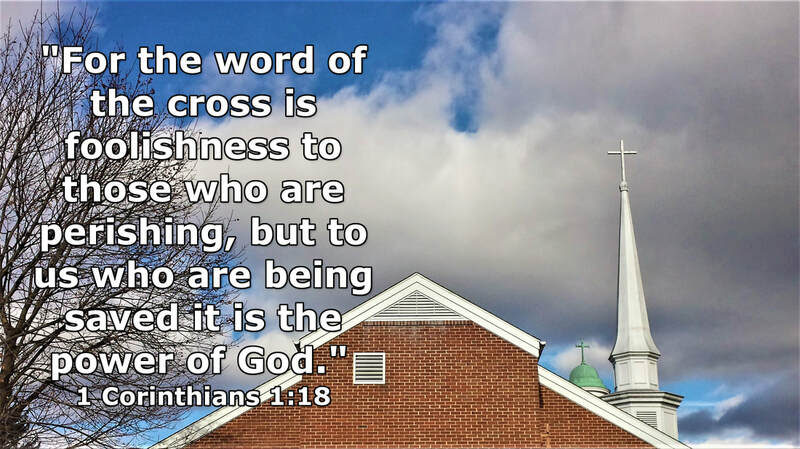 Power of God - 1 Corinthians 1:18 - "For the word of the cross is foolishness to those who are perishing, but to us who are being saved it is the power of God." ​ Gloried in - Galatians 6:14 - "But may it never be that I would boast, except in the cross of our Lord Jesus Christ, through which the world has been crucified to me, and I to the world." Reconciliation through and Peace made by - Ephesians 2:14-16 - "For He Himself is our peace, who made both groups into one and broke down the barrier of the dividing wall, by abolishing in His flesh the enmity, which is the Law of commandments contained in ordinances, so that in Himself He might make the two into one new man, thus establishing peace, and might reconcile them both in one body to God through the cross, by it having put to death the enmity." - also, Colossians 1:19-20 - "For it was the Father’s good pleasure for all the fullness to dwell in Him, and through Him to reconcile all things to Himself, having made peace through the blood of His cross; through Him, I say, whether things on earth or things in heaven." Enemies of - Philippians 3:17-18 - "Brethren, join in following my example, and observe those who walk according to the pattern you have in us. For many walk, of whom I often told you, and now tell you even weeping, that they are enemies of the cross of Christ." Forgiveness - Colossians 2:13-14 - "When you were dead in your transgressions and the uncircumcision of your flesh, He made you alive together with Him, having forgiven us all our transgressions, having canceled out the certificate of debt consisting of decrees against us, which was hostile to us; and He has taken it out of the way, having nailed it to the cross." Matthew 10:38 - "And he who does not take his cross and follow after Me is not worthy of Me." Matthew 16:24-25 - "Then Jesus said to His disciples, 'If anyone wishes to come after Me, he must deny himself, and take up his cross and follow Me. For whoever wishes to save his life will lose it; but whoever loses his life for My sake will find it." Mark 8:34 - "And He summoned the crowd with His disciples, and said to them, 'If anyone wishes to come after Me, he must deny himself, and take up his cross and follow Me.' "
Luke 14:27 - "Whoever does not carry his own cross and come after Me cannot be My disciple."